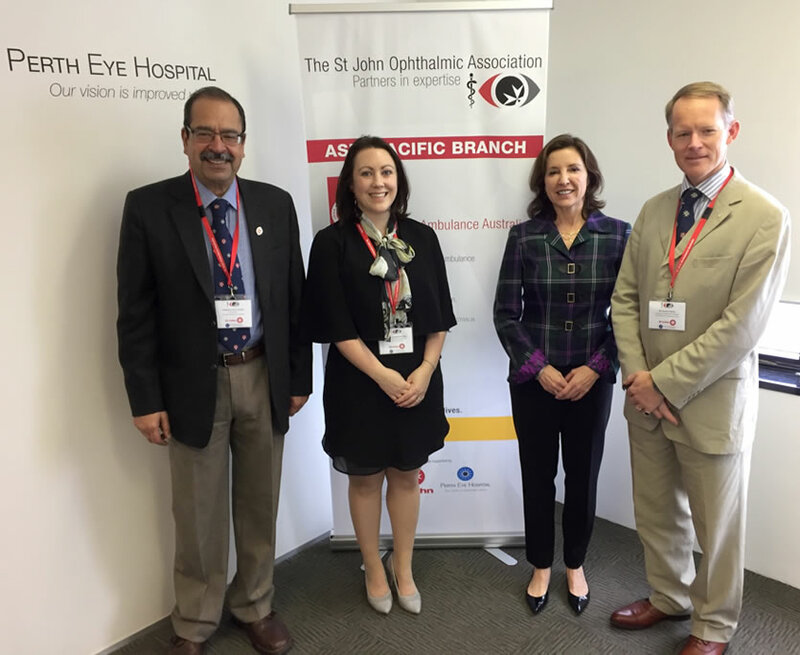 This meeting took place in the Perth Eye Hospital, and was hosted by St John Ambulance Australia, St John Western Australia, and the Perth Eye Hospital. The event was supported by both the Chancellor and CEO of Australia, the incoming CEO Mr Len Fiori, and the Hospitaller of New Zealand. On arrival, guests were greeted with canapés and refreshments. An excellent lunch was served and followed by addresses covering the history of St John in Australia, the activities of The Eye Hospital Group, the academic contribution of the American Priory to the Hospital, and the purpose of the St John Ophthalmic Association. Membership forms for SOA-AP were completed by a number of guests, and the formal launch was followed by a closed business meeting consisting of the SOA Chairs, the Officers of St John Australia, the incoming CEO, and the New Zealand Hospitaller. This meeting resulted in agreement in principle for the timing of the yearly Americas and Asia Pacific SOA meetings, these to be during the national RANZCO and AAO meetings respectively. In addition, practical measures to support the development of the Hospital doctors were agreed, these including research collaboration and publication. The SOA extends grateful thanks to both the Priory of Australia, and the Commandery of Western Australia for their high-level project support, organization and graphic design. In particular, special thanks are owed to Gabrielle Lhuede, National Publications Manager, and Kate McHoul, Executive Assistant to St John Ambulance Western Australia Ltd.
Prof Nitin Verma, Hospitaller, Australia. Miss Sonya Marshall, Hospitaller, New Zealand. Prof Anne Coleman, Hospitaller, USA. Mr David Verity, SOA Chair, and Order Hospitaller. 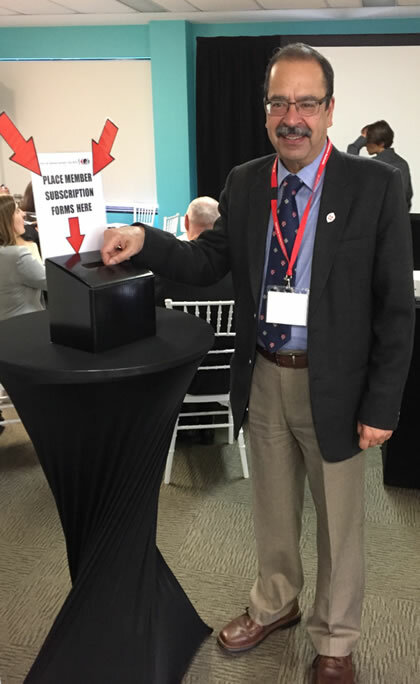 Prof Nitin Verma is the first to complete his membership form for SOA-Asia Pacific!